Since Elliw was born a lot of things have changed. A lot of baby things are a lot more modern and look a lot more fresh now. 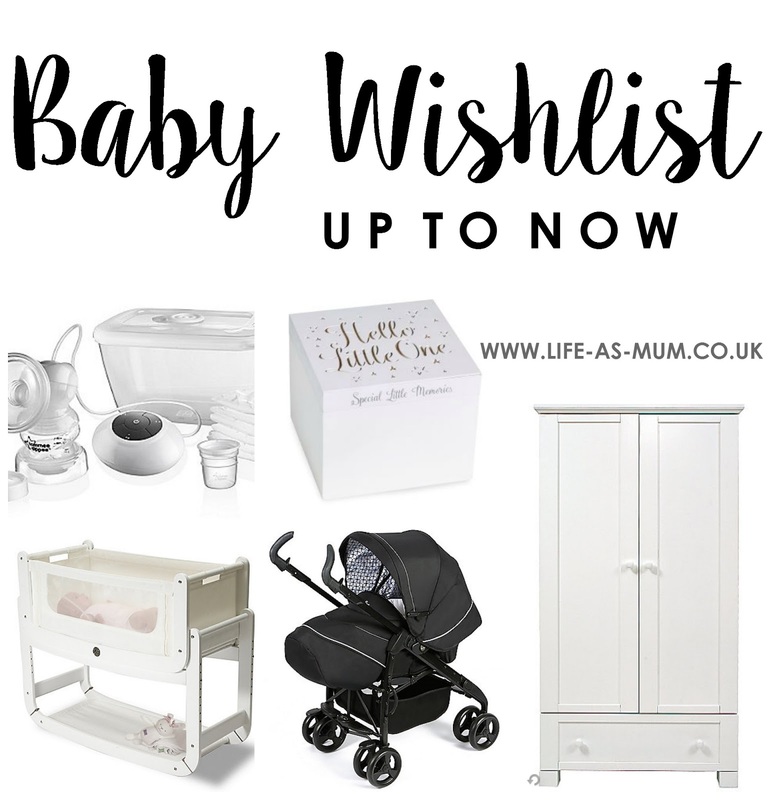 Seeing as Baby will be my last ever baby/child I am wanting to buy what I want but of course if I can't then I won't cry over it! I have been brought up to budget and I am not a snob for second hand items. I have already bought a baby bath which is just like new, second hand from somebody local for only £5. Knowing Baby won't be in a baby bath for long I didn't see the point spending so much on it. Silvercross Pram - I am still a little unsure on a pram at the moment and I think I will have to go and try out a few prams in store first before making my mind up but I do love the idea of just 4 same size set wheels and 2 handles. This is the pram that caught my eye at the moment but I know my mind will probably change soon. Breastfeeding Set - I am going to breastfeed this time round. I really regret not breastfeeding my second daughter, so hopefully Baby will latch on and I can breastfeed. I am wanting to naturally breastfeed for roughly 6 months as I can't see me carrying on after that when I think about it now, but I may change as the time goes! I am wanting to express a few months down the line as I know I am going to be shattered, so I would like my partner to help out by feeding Baby too. SnuzPod - I am in love with this Snuzpod. The white is just gorgeous and I would really like a modernised moses basket for the bedroom. I will be buying another moses basket for downstairs so I don't have to carry baskets or cribs up and down every day and I found it much easier when I had two baskets, with Mia and Elliw. Wardrobe - Baby will have his/her own room when he/she grows older. Mia will be put in the same room as Elliw. At the moment we don't have anywhere to Baby's clothes so they are just in a bag until we buy a new wardrobe. I am wanting a white and grey theme for the bedroom, so it just looks natural and fresh. I can't wait to show you all once it is done. Memory Box - I would really like to try my best and fill this memory box. I need to try and finish my girls' memory boxes too and I thought I could get the same memory box for all.